Yet another week with major updates — today’s highlight is the shiny new onboarding wizard. Watch out for a blog post from LiveChat’s UX designer on this — coming next week! Embed LiveChat Marketplace in the LiveChat dashboard for agents. Release a new onboarding wizard. Fix to new eye-catchers selection. 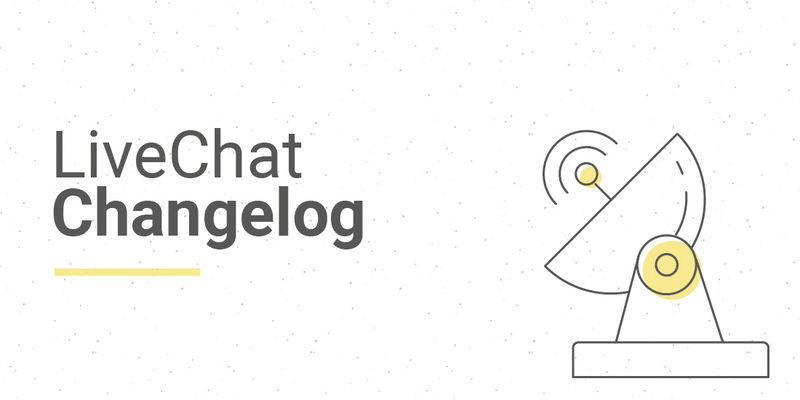 Fix to the sample pages (chat widget code detection). Fix to the chat tutorial - it no longer reappears if disabled.